Spend a little too much time playing Counter Strike Global Offensive? Yeah, we do too! 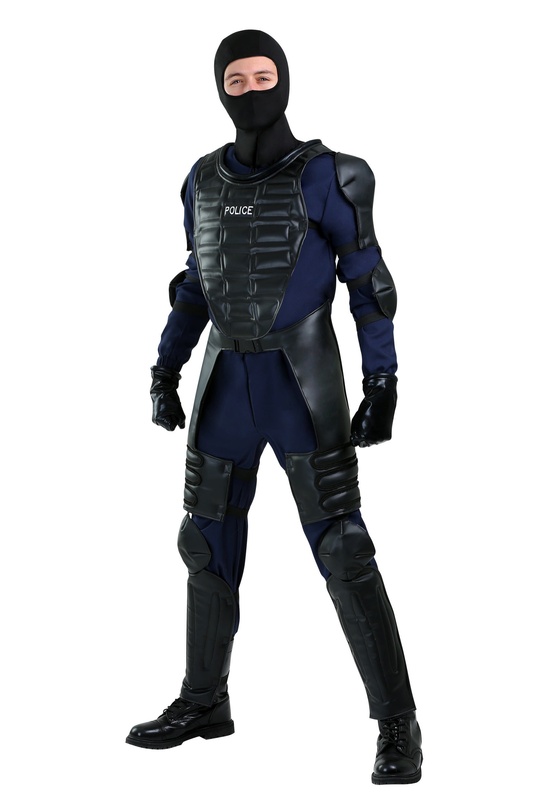 Long story short, when you spend your days designing costumes and your nights playing first-person shooters... well, you start making costumes just like this Riot Police costume. And, no, we're not saying that's a bad thing! 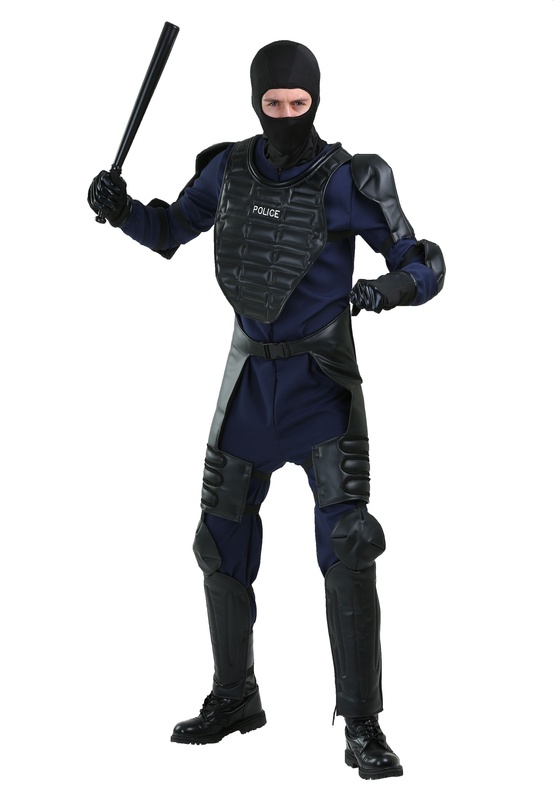 This police costume will be just the thing you need if you've ever dreamed about defusing some C4 even when you're not logged into your favorite videogame. Okay, it's still not real, but you can actually wear this costume! Styled to look like a SWAT team special uniform, this costume will be equally suited for matchups or just chilling with your fellow gamers IRL! As a polyester jumpsuit that has foam "riot" armor pieces to fit on top of it, this signature costume will let you bring your video game dreams to life. It also includes a hood and gloves to complete the costume effect, and all you'll need is your own black boots to complete the look and look like a serious top cop. Best of all, this costume is made by us too, so you can be sure that it's a step above any similar costume you might find around. With top notch construction, and an authentic style, we're sure you're going to love being a video game character come to life. Just remember, video games are one thing and real life is another. You don't need us to tell ya that, but just be cool with unsuspecting people while wearing this costume. It looks pretty real and they might not know you're in a costume. Keep the fun to parties and everything will go as planned and you'll be gaming again in no time.